Current production time 1-2 weeks. 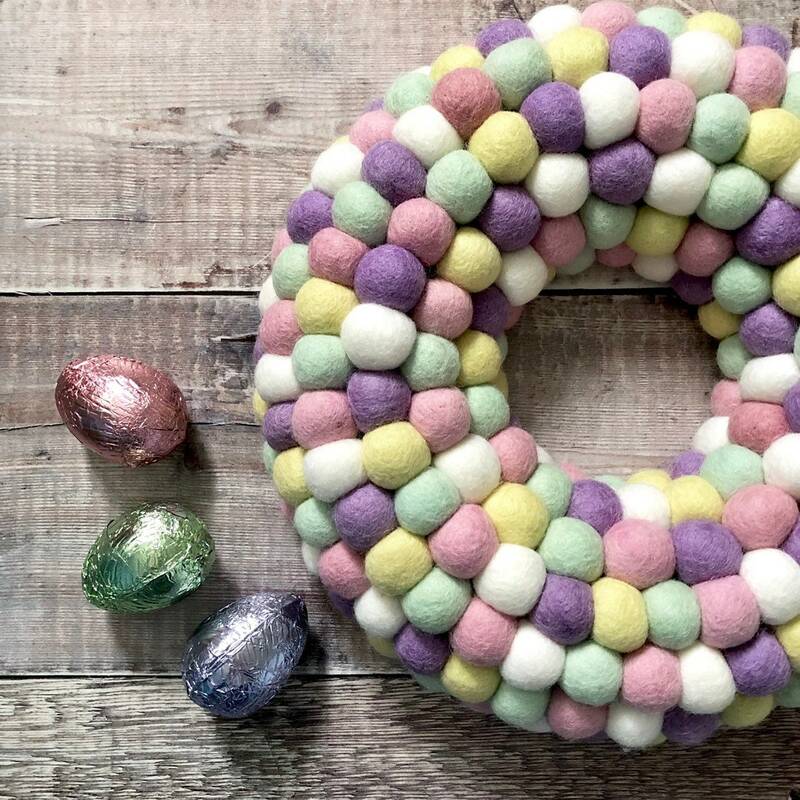 This sumptuous, soft pastel hued pom pom wreath, is made of over 200 wool felt balls. 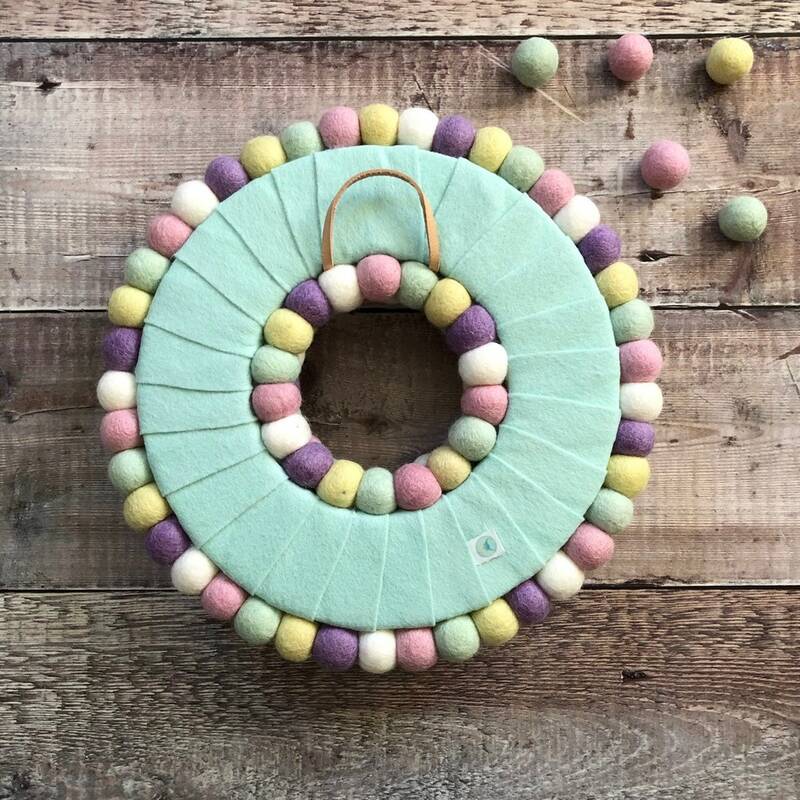 This wreath comes with a secure but contemporary leather loop for easy hanging. Easy way to add that cool Nordic vibe to your home and certainly cheaper than flying to Helsinki! 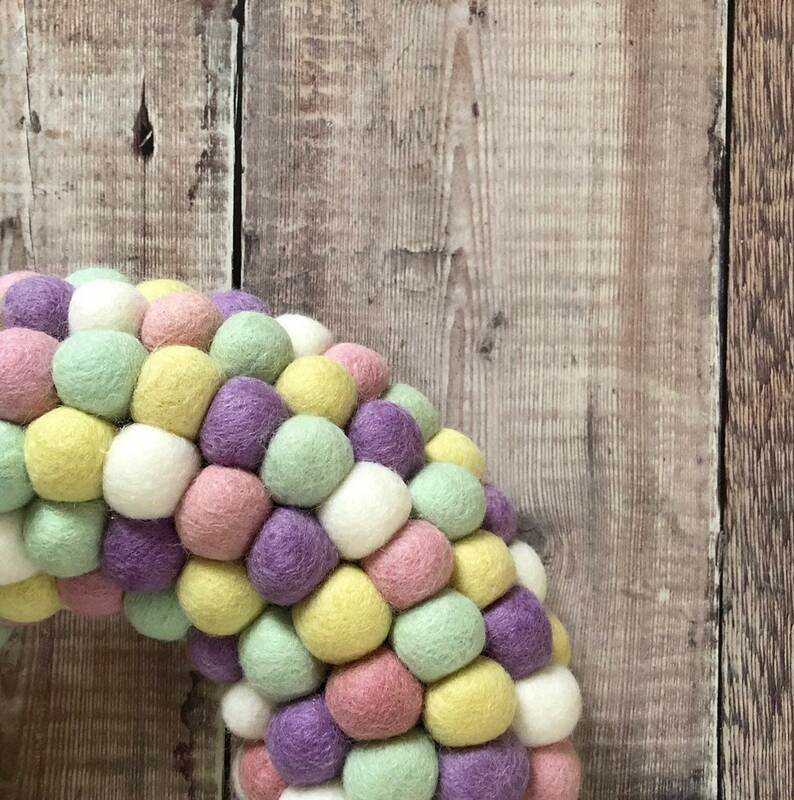 The back of the wreath is covered in soft but durable wool mix felt (in case you'd like to hang it somewhere that the back can be seen!). 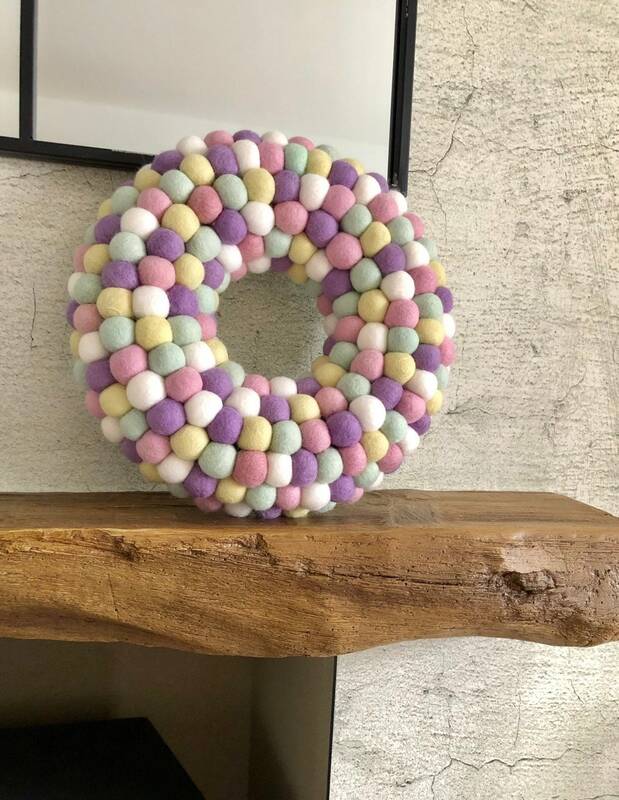 Due to it's contemporary look, this wreath would look lovely against a wooden door and can be displayed throughout the year. 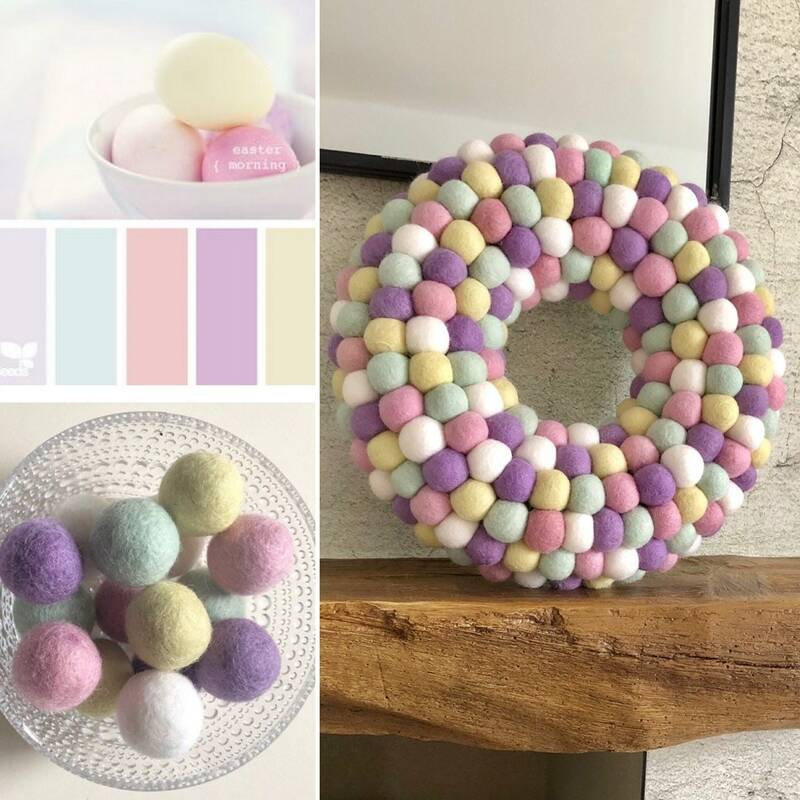 The felt balls add texture and warmth to your home. 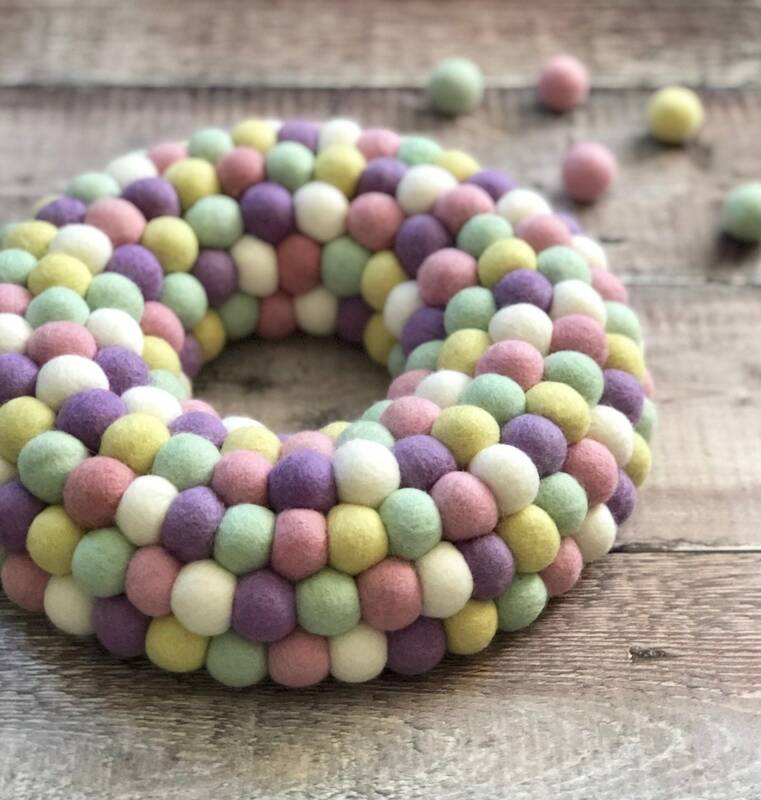 The texture of the wool felt balls makes the wreath very tactile and all your house visitors will be likely to comment about it! 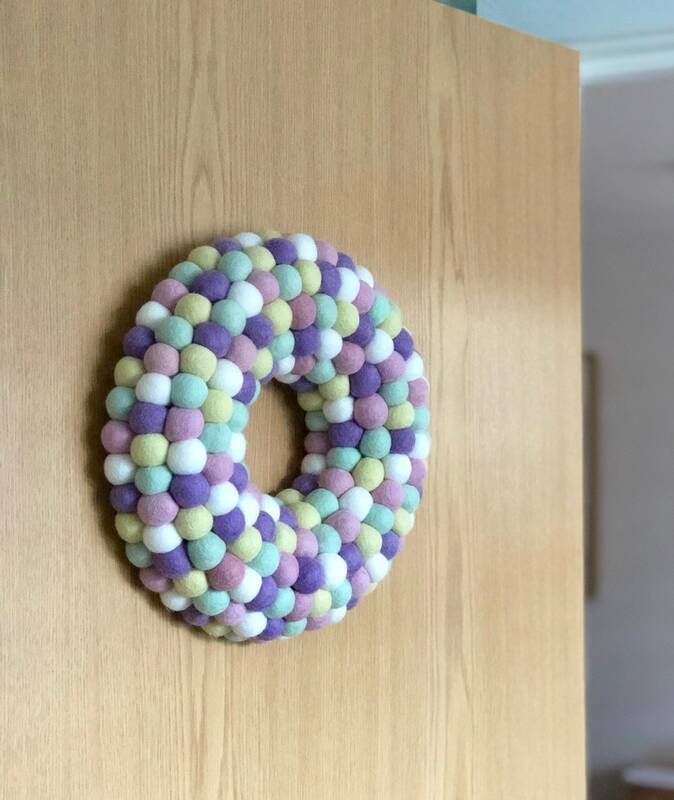 This is essentially an indoor door wreath (doesn't need to be a door, can be hung anywhere in the house, where it can be freely admired). You may hang it outside but it really needs to be a sheltered spot, away from all the weather elements. 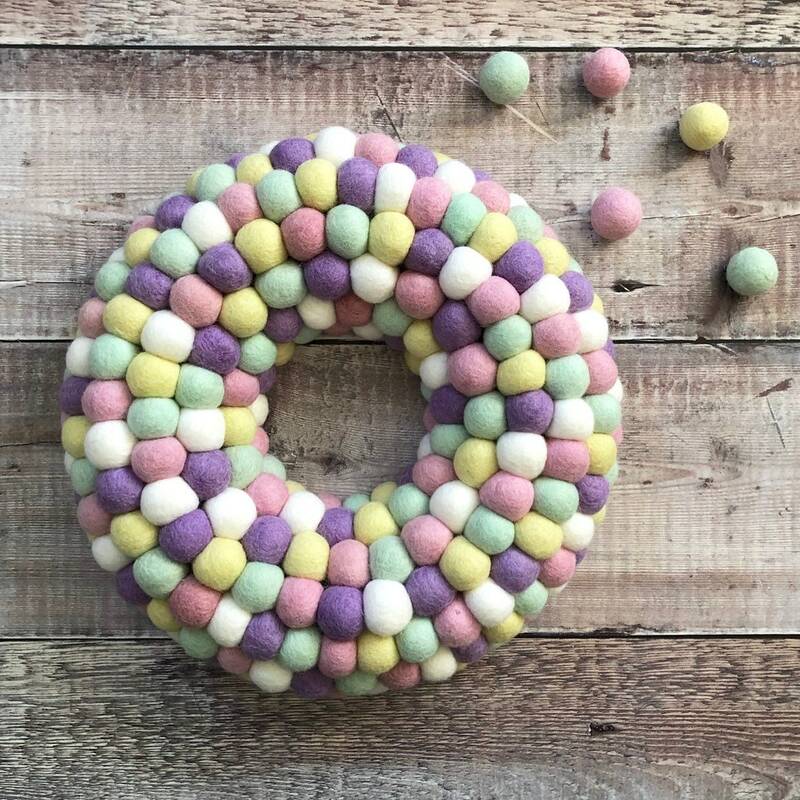 The wreath will come with a dust cover, which will come handy when you need to store the pretty wreath away. Upkeep: just dust it lightly and occasionally give it a brush with a sticky clothes roller. This wreath will be delivered by Royal Mail signed for 2nd class. Your order will be sent by Royal Mail tracked service, current estimated delivery times are from 7-10 working days. 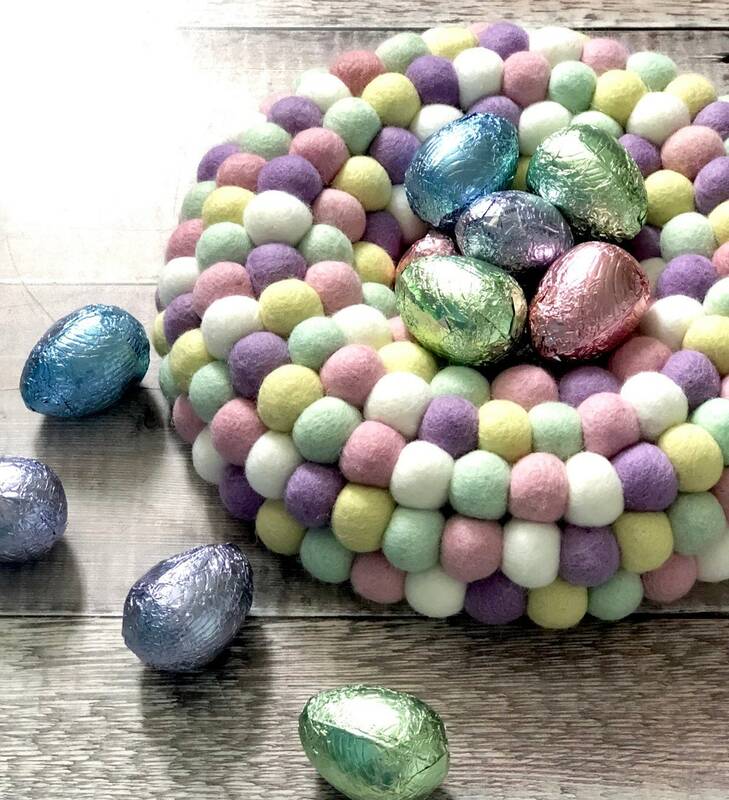 Occasionally items can be held in customs which can delay the delivery up to 2-4 weeks. Please note this is not a toy, keep away from babies and small children. Any props used in the pictures aren't included. 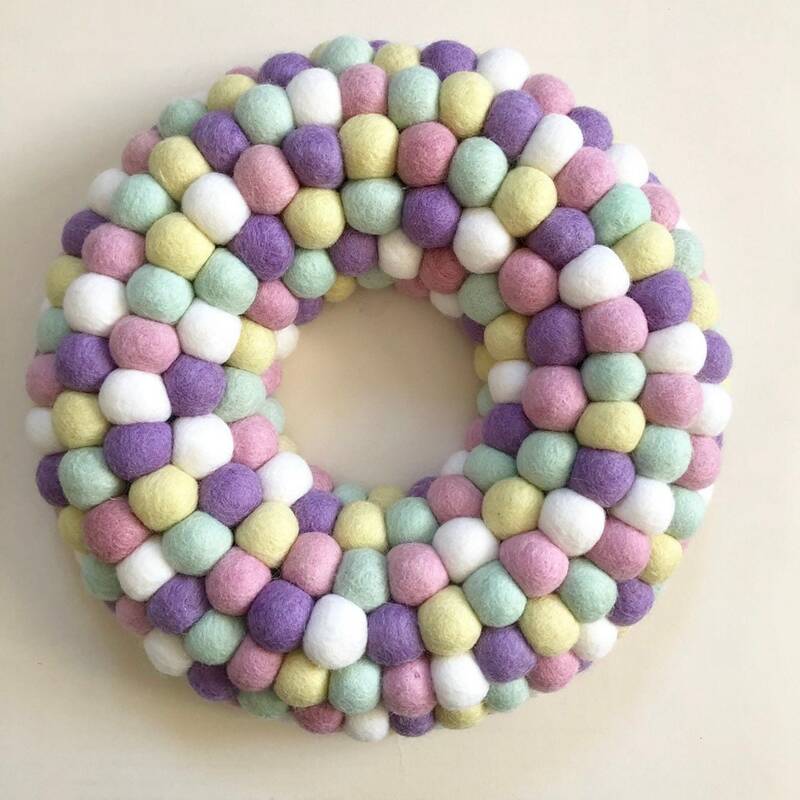 This listing is for a felt ball wreath only.